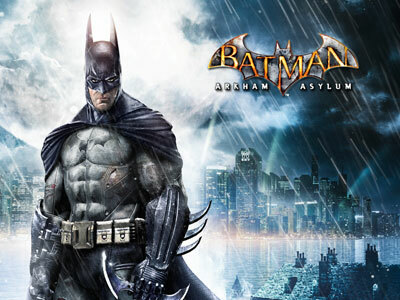 Following last year's mega-awesome blockbuster, the caped crusader returns to fight another day in Batman: Arkham Asylum. The house where all of Batman's crazed foes get to have a tea party after they've been foiled has just opened its gates, and a peek reveals we're going to have a lot of fun. Gritty and menacing, the world inside the Arkham Asylum looks and feels rightfully psychotic. Like the environments, the characters don't suffer from a lack of personality. And they are rendered to look like they were psychoes living in the real world. Arkham Asylum's Joker, for instance, looks just as disheveled and troubled as Heath Ledge's award-winning portrayal in The Dark Knight. Fulfilling your childhoof dreams to be Batman has never been this close. The combat is simple and brisk, and most importantly, fun. Along the way, you also get to earn new moves and combos that ensure you'll never run out of ways to introduce your enemies to a world of pain. You can also be stealthy and opt to pick off enemies one by one.